Thank you to each one of you who entered the Pantene Giveaway I hosted last month. I'm happy to share that I currently have another giveaway that is live on my YouTube channel. 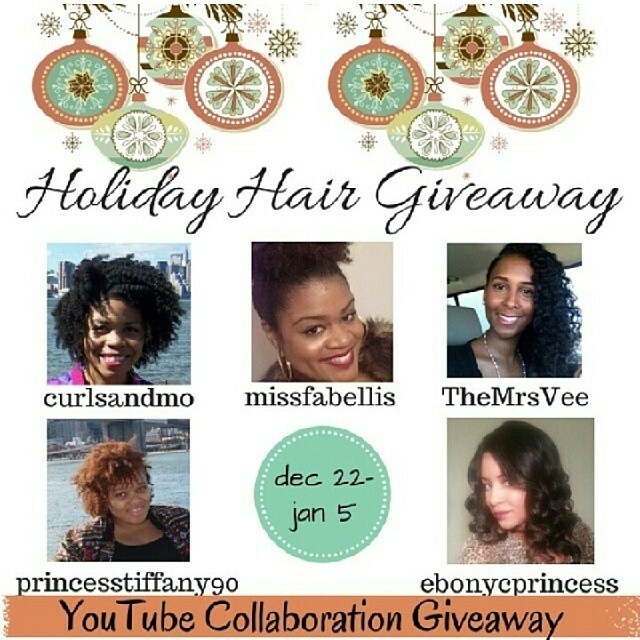 For this giveaway, I am collaborating with Curls and Mo, Longing 4 Length, The Savvy Housewife and BeauTIFFul Curls to bring you a Holiday Hair Giveaway. Each of us will be giving away different hair products on our channels. You can enter to win products on all five channels. On my channel, I am giving away three full-sized Curls Unleased products. The giveaway ends on Sunday, January 5th. These styles are looking great. Beautiful hair styles i love this blog.